How can we drive change at EU and national level so that all children can go to the doctor? What do the inclusive policies and practices of local and regional authorities tell us about effective health policies for our resident populations, and how can these initiatives be promoted? How can we address negative developments in particular EU countries collectively? 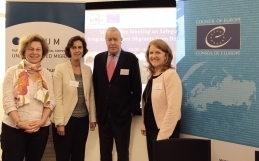 These were the major questions that PICUM’s working group on access to health care for undocumented migrants addressed during its fourth full day meeting on 14 October 2014 in Brussels. Providing opportunities for peer learning and development of joint advocacy efforts, the meeting addressed advocacy strategies at different levels – European Union, national, and local and regional level – and saw the launch of a new policy brief. To see more photos from the working group, click here. Bringing together 23 PICUM member organisations and individual experts from 11 different European countries, the working group was led, for the first time, by the new Working Group Chair, Frank Vanbiervliet of Médecins du monde International Network. Through a number of priority-setting discussions, members identified undocumented children’s access to health care as a priority area for joint action. Working group members were updated on a number of joint advocacy actions undertaken at EU level during the year to advance undocumented children’s rights, and their access to health care in particular. Despite the strong principle of subsidiarity in health, EU policies have an increasing impact on national health systems. Furthermore, the European Commission has a clear mandate to encourage cooperation between the member states in order to improve accessibility of health care and reduce health inequalities, e.g. by facilitating evidence-based policy discussions, peer exchange between member states, and developing consensus that providing health care to all children residing in the EU without discrimination is both necessary and practically possible. In this context, the working group considered how to further coordinate outreach to policy makers and stakeholders at national and European level to push for policy reform, and call on some health ministries to champion work to improve undocumented children’s health at EU level. 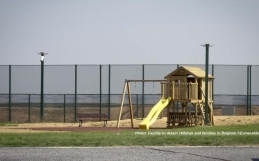 Members saw good prospects for improving the legal entitlements for undocumented children to access health services at national level in several member states – with the reasons for providing care stacked on one side, and the reasons for refusing on the other, policy reform should not be further delayed. Participants discussed the importance of also addressing access to maternity care, the impacts of restricted health care for undocumented parents on children’s access and health, and the mental health challenges facing undocumented children, including exposure to violence before, during and after migration. The working group has developed a policy brief highlighting examples where local and regional authorities provide wider access to health care services than that foreseen on national level. Regional and local authorities across Europe have varying competences in the field of health policy, both as policy makers and as service providers. Whatever the division of competences, local and regional authorities deal with the realities of undocumented migrants living in and contributing to their communities, as well as their health needs. The brief provides a number of examples – from Belgium, Germany, Italy, Spain, and Sweden – where local and regional authorities have used their capacities as policy makers or service providers, often in cooperation with civil society organisations, to increase the level of services provided to undocumented migrants in their localities, and tackle practical barriers to improve access. Alongside conclusions, a number of recommendations are proposed, for policy makers at all levels of government, for service providers, and for the European Union, to achieve inclusive, accessible and efficient health systems across Europe. Recognizing the important role of local and regional authorities in defining adequate health care provision at local level, and some of the promising practices currently implemented despite the challenging legal and policy environments. Providing concrete examples of how local and regional authorities – in different legal and political environments – can widen access to services for undocumented migrants. Challenging misconceptions about the costs and practicalities of providing health care to undocumented migrants, as well as highlighting the reasons for inclusive provision. PICUM’s working group has decided to mobilise its resources to support members in particular focus countries, critical to advancing health care for undocumented migrants across Europe. The particularly current proposals to increase charging for health services in the United Kingdom were identified as the current priority for joint action (see also recent report from Demos and Doctors of the World for analysis of the proposals). It is not clear yet how the reforms will affect undocumented migrants, but the proposals indicate that additional services will be subject to charging at full cost, including some primary and emergency care services and medicines. It is even proposed that hospitals should charge nationals from outside the European Economic Area (EEA) 150% of the actual costs for the services they do charge for. Aside from the impacts such restrictions will have on individual, community and public health, including the health system and working conditions of health care professionals, the regulations seem to be getting increasingly complex and impractical to manage in practice. One the proposals for implementation – a large-scale IT infrastructure so that health care providers are able to verify a patient’s residence status and entitlements to services – is another major concern. Unless it is ensured that there will be no sharing of data with immigration authorities, this system will present an insurmountable barrier to people being able to access the care they need and are entitled to, as they will risk immigration enforcement as a result of accessing health care. Building on the EU Fundamental Rights Agency’s guidelines on apprehension practices, PICUM advocates a ‘firewall’ between health service provision and immigration enforcement – a prohibition on data sharing and apprehension in or near health service providers. 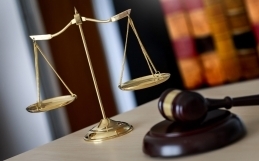 If some kind of information sharing is necessary for the implementation of charging regulations, it is essential that the data sharing is only one-way and strictly for the purposes of checking entitlements to health services, in law and in practice. UK members picked up tips from the experiences – successes and failures – of members in other countries, including the recent mobilisation against regressive health care reform in Spain. The working group will continue to follow the developments in the UK closely, provide comparative data and evidence from across the EU and challenge the restrictions on access to health care to undocumented migrants.